Strike gold! 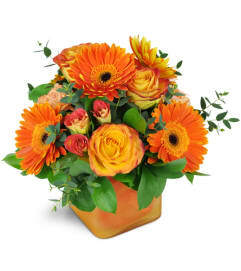 Send a rush of happiness for a birthday, get well, or any occasion! 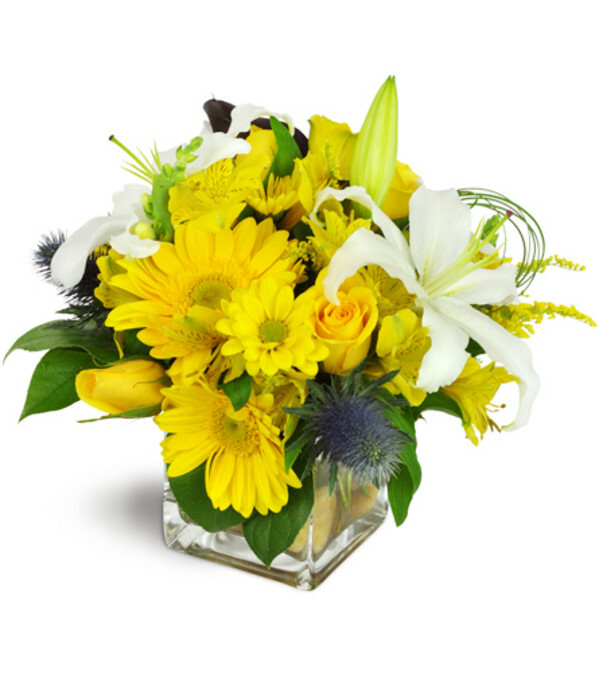 Super sunny yellow Gerbera daisies, roses, alstroemeria, and more are accented with stunning white lilies, for a lavish and lush surprise! 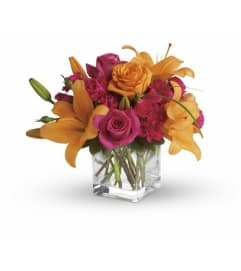 Bright yellow Gerbera daisies, roses, daisies, and alstroemeria are accented with white lilies, thistle, and a swirl of bear grass for an extra special gift for any occasion! He loves it!!!! Thank you so much! ❤️ Wil definitely order again! Beautiful flowers, speedy delivery! Ordered in the morning and delivered in the early afternoon! Easy to use website and decent prices! I love Awesome Blossom! Great selection, great prices and they always deliver on time. I order all our flowers from Awesome Blossom!! 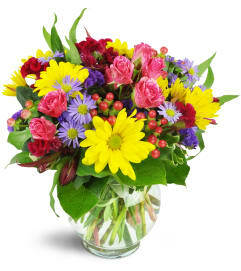 Awesome Blossom is a Lovingly Florist in Edmonton. Buying local matters. Discover how Lovingly supports local florists. Copyrighted images herein are used with permission by Awesome Blossom.